When first I heard the Horsham Water and Sewer Authority (HWSA) was compelled to remove three water wells located near the NAS-JRB Willow Grove property due to the presence of Perfluorinated Compounds in tested ground water, I really wasn’t all that concerned. My home doesn’t use well water – or so I thought; and since those affected wells were taken off-line, all would be “well”! In July 2014 routine water sampling revealed the presence of Perfluorooctane Sulfonate (PFOS) and Perfluorooctanoic Acid (PFOA) in HWSA groundwater wells located in close proximity to the mostly abandoned airbase. The HWSA made the proper decision to take two wells (26 & 40) off-line, effectively removing them from the water supply. In addition, the U.S. Navy will continue to sample monitoring wells located on the NAS-JRB property and the Environmental Protection Agency (EPA) has requested permission to test water from 200 private wells in Horsham. Where I was wrong was my assumption that water from those wells affected by the presence of PFOS/PFOA would not have made it into my family’s drinking water. 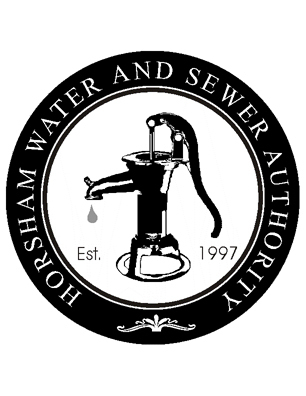 My misapprehension was the result of a total ignorance of well water usage and how heavily Horsham relies on it to meet local needs. I attribute said ignorance to my life as a “city boy” before moving to Horsham in the late ’90s. What I knew about Philadelphia’s water supply was limited to its reliance on reservoirs located as far away as New York state and the intriguing notion of water releases from these NY reservoirs into the Delaware River that actually raise the river’s level as the swell of out-of-state water pushes down the river to huge intake valves located in the City. Needless to say, that water is heavily treated and is reputed to be one of the best in quality nation-wide. Despite my rather sheltered perception of local water usage, I decided to attend the Navy’s Base Realignment and Closure (BRAC) public information meeting, held at Horsham’s community center on October 7. I learned a lot at this session, particularly how little I really knew about Horsham’s water supply. My Big Aha! moment was the learning that all of Horsham’s water wells feed the entirety of the Township as opposed to my assumption that local wells feed only those users in that particular well’s immediate vicinity. Suddenly the presence of these Emerging/Unregulated Contaminants in any local well took on an entirely new meaning! Allow me to share what I learned from an hour of asking questions; listening to explanations; and trying to digest the mind-numbing bureaucratic ecological science conscientiously provided by the good folks of the U.S. Navy BRAC office and the Environmental Protection Agency (EPA). Until the discovery of PFOS/PFOA, Horsham Township through the Horsham Water and Sewer Authority (HWSA) drew all required water through a system of 15 strategically placed wells serving 103 miles of distribution piping to over 7000 customers (6500 residential). These wells feed the entire system, not just those users located in close proximity to any single well (as I had thought). Five elevated tanks provide pressure-leveling and emergency reserves (e.g. fire-fighting). 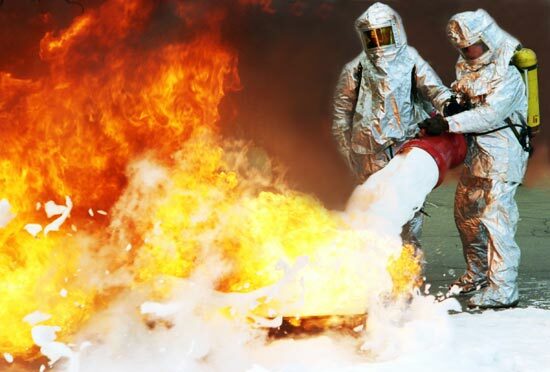 PFOS/PFOA are man-made salts used in a variety of consumer and industrial applications, such as in water-proofing clothing and fabric, non-stick cookware, food packaging and – most importantly to Horsham’s situation – in fire-fighting foam. They are persistent in the environment, meaning they break down very slowly. PFOS/PFOA are considered “emerging contaminants” because methods of testing in groundwater were only recently developed and insufficient research exists on their long-term effects on organic systems. Because of its widespread use and proclivity for bonding to proteins, PFOS/PFOA can be found in every person to some level. Little is known about the long-term effects to low-level exposure in drinking water. 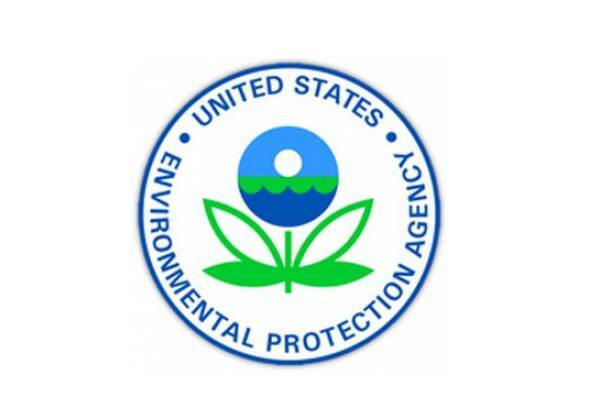 The EPA continues to study prevalence and toxicity to determine safe drinking water limits. EPA developed and issued a Provisional Health Advisory Level (HAL) in order to minimize high-level exposures and to ensure detection where testing is required. The HAL and new testing methods, instituted in 2013, discovered the contamination and triggered the removal of Horsham Wells 26 & 40 from the water-supply network. The source of the contamination appears to be the wide-spread use of PFOS in fire-retarding/fighting foam used to suppress flames from airplane crashes. The foam was used world-wide to fight such fires. Although actual plane crashes were rare at the NAS-JRB site, the foam was most liberally used in fire-fighting training exercises. Three other wells near the base are also being monitored for producing contaminant levels below the HAL limits. PFOS/PFOA are no longer legally produced in the U.S. Some usage is still allowed in a few, limited, high-tech applications where no known alternatives are yet available. Efforts are being made to eliminate their use completely by 2015. Studies suggest PFOS/PFOA may cause elevated cholesterol levels and low infant birth weight. Research showed that in large doses, they caused developmental, reproductive, and liver effects in animals. Health effects of long-term and low-level exposure are not well-known. Blood tests are available, but tend to be inconclusive and unable to predict individual health issues. Although stories such as these tend to raise a community’s anxiety level when we are constantly bombarded with news stories about everything that is bad for you, all available science and information concludes that Horsham’s drinking water is safe for consumption! The U.S. Navy, always responsive to issues arising from the BRAC decision to close the base, continues to monitor wells near the airbase to determine the extent of any contamination and to further identify sources. The Navy is also reimbursing Horsham for any purchases of replacement water supplies. The HWSA is looking at options for permanent replacement of water capacity lost to the well shutdowns. 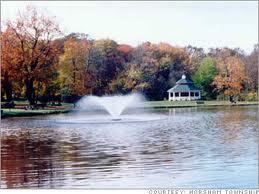 Horsham Township’s water is safe to drink! 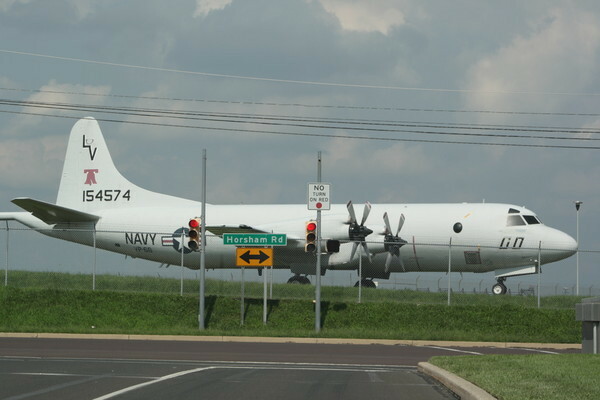 The Township and the U.S. Navy (My employer in an entirely unrelated capacity.) continue to be extremely responsive and responsible when it comes to issues of concern with the airbase shutdown and redevelopment, particularly the presence of industrial contaminants resulting from airbase operations. Although homeowners should take advantage of the free EPA well-testing offer, it’s probably wise to hire an independent test service for a second, most assuredly objective opinion. Always best to double-check the checkers. The worst case exposures to perflourinated compounds (PFC) were recorded in communities that lived downstream of plants that manufactured PFCs or used them to produce other products back in the day when waste products were routinely drained into natural water sources. None of these attempts at cautious optimism for the quick action taken change the fact that some were exposed to unhealthy chemicals due to a historical ignorance of industrial pollutants, their effects, and a casual disregard for the environment. The fact that the pollutant was discovered offers little relief when research has yet to determine what what the long-term effects might be. My observations from the presentations given by the U.S. Navy’s BRAC office, as arranged through the Horsham Land Redevelopment Authority (HLRA), that I have attended are that all parties involved in the BRAC process – including the EPA – are fully engaged in the sensitive subject of industrial pollutants and their cleanup. BRAC law requires that all pollutants be removed or sufficiently mitigated before the local authority is granted control of the NAS-JRB property. The current issue is an example where testing was initiated once a reliable method had been developed, and protective measures taken as soon as the problem was discovered. At a time when it is often difficult to put one’s trust in government institutions, this relationship at least appears to be working to protect both the people of Horsham and our future well-being as it relates to managing the old Navy base at Willow Grove. Insofar as the airbase redevelopment is concerned, the discovery is hardly a surprise. The potential for pollution from airbase firefighting operations was recognized early on in the BRAC-driven redevelopment process. The possibility of other hazardous substances being found at some point in the future can not be entirely dismissed. On January 13-14 the U.S Navy’s, Naval Facilities Engineering Command (NAVFAC), BRAC Program Management Office presented for public review, questions and comments it’s Environmental Impact Statement (EIS) related to the Horsham Local Redevelopment Authority’s (HLRA) redevelopment plan for NAS-JRB Willow Grove. The turnout for the two-day event was light, as one would expect for such dry subject matter devoid of emotion-provoking arguments like those preceding the decision not to accommodate an airport at the base. But the 80-plus who did take the opportunity was a nice improvement over a public comment last year. I picked Monday evening, January 13, to visit and submit those questions and comments I had regarding the evaluation the Navy was required to perform on the feasibility of the HLRA plan and the environmental impacts that could be reasonably projected from the plan. EIS evaluations are not limited to impacts of redevelopment on the physical ecosystem. An EIS also looks at scope and costs of each Alternative Plan as well as each plan’s effects on Population; Housing; local Economy including Tax Revenue and Employment; School Enrollment; Transportation; Air Quality; Infrastructure and Utilities; Water Resources and Biologicals (wildlife). Several basic issues should be kept in mind when reviewing the EIS. The EIS is mandated by the Base Realignment and Closure (BRAC) law, that sets the framework for transferring excess Government facilities and property to regional entities for reuse by the public. The EIS process requires that the evaluation address the broadest possible spread of Alternatives for redevelopment. This is why one alternative (Alternative 3) addresses the use of the closed base as an airport. This is not an indication, as I overheard one interested citizen conclude, that the federal government still prefers to turn the property into an airport! It’s simply the surprisingly efficient way the BRAC law requires all possible alternatives receive a thorough analysis in a single comprehensive treatment. This eliminates the possibility of another lengthy and costly EIS evaluation should the preferred plan require any changes, including increases or decreases in development density. One shot, and it’s all treated equally, thoroughly, and cost-efficiently! Now that being said, I will readily admit that until they start tearing that runway apart into miniscule pieces of industrial gravel or they build enough stuff on and around the runway to make any potential airport a foregone not-gonna-happen conclusion, I will consider that very remote possibility of an airport a possibility nonetheless. By way of full disclosure, I work for Big G Government as a civilian employee of the U.S. Navy. I never had an issue – obviously – living within 1/4 mile of the airbase. But a private/commercial airport is another animal altogether. No thanks! If nothing else, besides its penchant for elaborate acronyms, the Navy’s EIS is extremely thorough in the depth and breadth of its environmental assessments. The EIS report runs over 450 pages long, not including the Appendix (770 pages) provided as a separate document on the BRAC PMO website. The EIS begins with a well-written Executive Summary (ExecSum), which at just 26 pages, is as far as I got in my initial reading. My eyes tend to glaze over when confronted with an overabundance of detailed analysis, so I was content with reading the Summary knowing I could delve deeper into the minutiae if I wished on any specific area of interest. Believe me, there was plenty of data to chew just on those livable 26 pages of summary presentation! So that this post does not become overwhelming, I will concentrate on the comparative tables contained in the ExecSum. These tables are most useful in presenting the collective data in an easy-to-digest comparison between the four Alternatives addressed. Of course, I will be addressing only those features of the EIS I find most interesting. My interests (density, economic impact, taxes) reflect those features I believe are most important to the long-term health of Horsham Township. Other challenges like traffic, water usage, hazardous material cleanup, etc. are also important within the larger context of economic feasibility. Alternative 1: HLRA-approved/preferred plan consisting of 1486 Residential Units (RU), 2.3 million sq. ft. of industrial/retail space (non-residential); 240 acres of Open Space. Alternative 4: Doing nothing at all to the property. Obviously no development parameters, so there really is no treatment of Alternative 4’s impact. But the most obvious to keep in mind here are no tax revenue; but still the costs of site security, wildlife control, vegetation control, etc. remain and there would be no cut-through roads. One would assume this is no alternative at all, aside from serving as a baseline for the EIS comparisons. Now my own personal opinion is that both Alternatives 1 & 2 contain higher density numbers than I would prefer to see. I have in the past shared my own whimsical ideas for the base property, and others have suggested their own to me. But that’s for another post at another time. Here I will limit myself to comments on the EIS comparisons. The following Public Meeting Fact Sheet, made available at all the public EIS presentations, is most helpful when comparing the three primary Alternatives. It provides the potential impacts of all three alternatives in table format, making it easy to distinguish key elements. In addressing the HLRA-preferred Alternative 1, there is much to like … over 10,000 additional jobs, over $15 million in additional tax revenue, and 240 acres of new open space. But there are also concerns … an increase in population of 3500, another 570 children attending district schools along with increases in traffic, resource use, and demands on infrastructure and utilities. I am skeptical of the estimated construction expenditures (one of my comments to the Navy on the EIS). These costs are estimated at $928 million to build out the entire Alternate 1 development plan. As someone unfamiliar with the real-life costing of major development projects, the figure seems too low to me. I find it difficult to believe the full build-out of this magnitude could be completed at level of investment. That’s a problem for Developers however, not so much for Government or for Taxpayers. Assuming there is no public financing options provided to whomever qualifies to execute any build-out (other than tax incentives), the problem is one of developer financing and return-on-investment. Alternative 2 with over 500 more residential units adds only an estimated $1.3 million in tax revenue because, although there are more residents, there are also fewer jobs (roughly 450-500 fewer). Not being a fan of Alternative 1’s level of residential density, it’s no surprise that I am not all that excited about Alternative 2’s even higher density level. Alternative 3 – of course – is a non-starter for me. However, the airport alternative would cost $274 million for build-out; includes 70 housing units for homeless veterans only. (This is included in all the alternatives. ); 1.5 million square feet of non-residential space; but also generates only $4.2 million in annual tax revenue, most of which is coincidental to an airport operation. This revenue would come primarily from the planned hotel conference center and other non-residential development. The airport alternative still provides for 7500 jobs in the business park and hotel conference complex. Few jobs – one would surmise – would be directly related to airport operations, since airport proponents continuously tell us that this will be only a small private, limited commercial operation. I do not buy that line of thinking. In my view, the only way an airport makes sense – both in self-sufficiency and local economic impact – is if much heavier commercial use exists there, be it commuter air services or freight operations. The pro-airport crowd will tell you otherwise however. The last alternative – Alternative 4 – involves doing nothing, so there’s not much to address there. One piece of data from the HLRA consultant group is that it would cost the Township $20 million to take the property to pasture conditions (basically just grass and trees). This includes tearing up the runway and leveling the remaining buildings. Obviously, not much of an option. As anyone who pays attention to this process and the seemingly endless evaluation, recognizes that this process through the full build-out – in whatever form it takes in the end – will be a long tortuous road requiring a vision and insight into a future a lot of us might be too old to appreciate … me included. None of the Alternatives nor their preferential rank means a twit without the development money and a perceived return-on-investment to the entity taking all the risk. To speak of town centers, golf courses, retail space or whatever at this juncture is simply a way of putting a very abstract vision into a form that can be valued and analyzed. What the EIS helps to illustrate – in an indirect way – is the complexity of the picture, the range of permutations possible, and if one listens closely, the importance of taking our time in carefully putting the puzzle together. This leads me to laugh at stories on local media sites where people complain about a lack of progress in the base’s abandoned state. Articles bemoaning a lack of progress in activity on redevelopment forgetting rather conveniently that Governor Rendell caused a few years worth of delay by pursuing a well-intentioned solution to keep the runway as a regional asset if a solution could be found to make it economically self-supporting. When it comes time to stick shovels into earth, those with the deep financial pockets will certainly want a say in what is developed on the NAS-JRB property with their money. Any interested developer will – no doubt – have a significant say in that decision-making process. A healthy vision – represented by the preferred HLRA alternative – serves as a starting point from which those inevitable revisions can be properly evaluated. Regardless of what the final product looks like, such a structured approach is intended to ensure the best possible decisions are made for the future of Horsham Township and the surrounding community. The long road already in the rearview mirror is unfortunately only the beginning of a very long journey. It’s been a crazy 8 weeks since Labor Day in Horsham, Pa! Maybe when you look at the Election Day results, you might conclude it was much ado about nothing. Maybe this episode revealed a few more insecurities in our Republican leadership than we care to admit. Maybe it was a good shot of cold water on the face of complacency. Maybe it simply proved the point that Success breeds Content among those who pay the bills. This is not written as a Victory lap. There was just a little too much anxiety for me despite the registration numbers. Certainly, there are a number of lessons to be learned here. The first ones are for the Democrats. And no, I’m not inclined to share what I think they are. Let’s just say I was disappointed in their approach. As for my fellow Republicans, the message is clear. You are doing a great job – so far – in keeping Horsham a vibrant, healthy, and desirable community. But we better not fumble the ball! It’s fairly obvious that the Democrats see Horsham as one of the next prizes in their regional growth. No surprise there. They are here to stay. They will be back. Republican leadership faces any number of challenges at any given time. But none will be bigger than how they approach the future redevelopment of the NAS-JRB Willow Grove property. Many of us may be too old by the time shovels start piercing the ground there. However, Horsham’s future will be tied to those decisions like no others in the coming years. 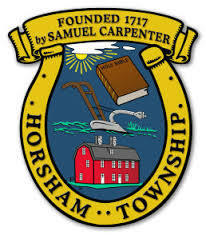 That being said, I would like to thank all Horshamites who voted – be they Democrat or Republican – for taking the time to voice their opinions on past performance and who should lead the Township into the future. The mantra of “All politics are local.” is one I firmly believe in. So I am flummoxed by the fact that less than 40% of registered voters bother to vote in the most local of elections. One would think the closer an election is to your home, your family, your way of life would be the elections most important to you. On a personal note, I took the step this year of sending a personal appeal to every Republican voter in Horsham’s Ward 1, District 3. It was an attempt to underscore the importance of Tuesday’s vote and the decisions we would be making. The turnout numbers as a percentage of registered voters in the 1-3 was disappointing, given the effort. So I will have to consider other options. But to those who listened, and to all those who voted in the 1-3 and throughout Horsham, thank you! An Easy choice for Horsham’s Future! There are two observations relating to politics in which I strongly believe. A candidate without ideas is the first one to go negative. On November 5th the residents of Horsham, PA and the Hatboro-Horsham School District face a crucial election for several local offices. Local elections have a greater direct effect on you, the Taxpayer; the community in which you live; and the schools your children attend. 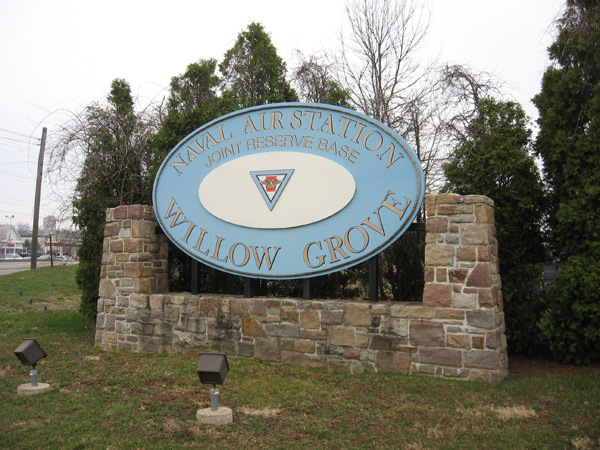 In addition, the decisions we make on November 5th will impact the prospects for Horsham’s future in terms of the NAS-JRB Willow Grove airbase. How that process plays out in the next decade will be reflected in the taxes we will pay and in the value of our homes and property. No other election will affect your quality-of-life more directly than local government offices that control spending, property (schools) and township taxes, not to mention the potential for your township’s Economic Future. When it comes to local elections, History is an effective barometer of Future Success. In Horsham’s case, Success is not a theory or a couple of good terms in office. It’s a history built over DECADES of Growth, Vision, and the kind of efficient management and intuitive policy that built a community lauded as one of the Best Places to Live (Horsham #34, CNN/Money Magazine 2013). Growth, managed properly and carefully, allows for township taxes that have not been raised in over a decade. Efficiency is what ensures your streets and neighborhoods are kept safe; operating smoothly; and cleared of snow in the winter. Vision is taking the forward-looking action to establish a Horsham Local Redevelopment Authority (HLRA) that preserved for Horsham residents control over the key decisions surrounding the BRAC (Base Realignment and Closure) closure of the NAS-JRB Willow Grove airbase. No single action did more to preserve the Quality-of-Life in Horsham than the establishment of the HLRA. Few people appreciate the fact that any local or regional entity (Montgomery County, Bucks County, Delaware Valley Regional Planning Commission, etc.) could have filed for official status as the LRA for the Horsham base. If just one of them had been as quick to act as Horsham Township‘s Council, you can bet there would already be an airport operating at the airbase. W. William Whiteside and Deborah Tustin were part of the team that took the initiative to preserve for Horsham residents the decisions that will shape Horsham’s future, as will be reflected in those 862 acres sitting so prominently on Rt. 611! Newcomer Tom Johnson, a mainstay in Horsham commercial and industrial development, has the experience and the Horsham-grown philosophy to maintain this consistently successful approach to our future. And what of their Democrat challengers? What is it they have to offer? Apparently not much more than misrepresentations of fact and plenty of negativity. They say they can make Horsham even better. But how could they improve a community already ranked so prominently as one of The Best Places to Live? Ask yourself the practical question … How much they can actually improve today’s Horsham? Then recall all those negative mailings they sent to your home … over and over again … day after day in the last few weeks. How much better do you think the Democrat challengers will make Horsham now?!? The only new ideas I was able to identify from their mailings were confrontation and obfuscation. For a group that speaks so much of making Township Government more “open”, they have a funny way of misrepresenting the truth and trying to fool Horsham voters. 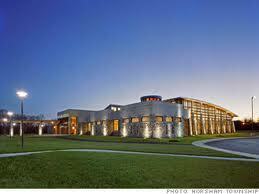 Fact is, Horsham Township government is the most open governing process I have ever witnessed. You can find on-line public notices of all township and school board meetings. At the HLRA website you can find agendas, minutes, and even sign up for e-mail notifications of future meetings. I remember – as part of the HLRA redevelopment plan process – hundreds of local and regional citizens learning about and watching the evaluation and decision-making process. I attended as many of these meeting as I could. I sat with hundreds of people and participated directly in an open-to-the-public charrette process for brainstorming ideas and layouts for a theoretical, redeveloped NAS-JRB property. I was there the night that hundreds of attendees gave a rousing ovation for the decision to reject a Bucks County Airport Authority proposal to operate an airport at the base. In my opinion, the Horsham Democrats’ most egregious behavior is the deliberate and repeated misrepresentation of the purpose and meaning of the HLRA’s painstakingly created Redevelopment Plan. The plan is intended to accomplish nothing more than to prove that Horsham Township has the means and capability for properly managing the redevelopment effort. It forms the basis for the U.S. Navy to conduct its Environmental Impact Statement and for developing an anticipated cost structure for its eventual execution that can be evaluated for its economic feasibility. Like all carefully laid plans, the specific details of the redevelopment plan are tenuous projections of what can be accommodated on the airbase property. But the fact is, none of it means anything without developers and their financing to make the plan a reality. In that regard, the HLRA could say it plans to build the Taj Mahal on the airbase site. But without developers with the money and interest to make any specific plan a reality, it’s all pie-in-the-sky. To speak about golf courses, bowling alleys, and hockey rinks is simply being deliberately dishonest for the sole purpose of political advantage. You can tell a lot about the Democrats’ plans for Horsham by carefully dissecting the messages they keep sending you in those ugly mailers. And if you caught their cable commercial, it tells you even more. There is a plan here apparently. It’s the Get Scott Freda Elected to Something plan! Remember all those negative mailings you been receiving?? Just check the small print that lists the “Paid for by …” election requirement on all those negative mailers. Scott Freda‘s “plan” for Horsham is laid out for you right there!! His cable commercial? If you see it, you will be hard-pressed to find his running mates in that commercial, except as props. There is no mention of them by name, only Mr. Freda’s name is prominent. Then ask yourself The Big Question. Where is all this money for negative mailers and cable TV commercials coming from? Did you know that the leadership of the Horsham Democrat Committee has a strong connection to Philadelphia political organizations? That’s why every year at polling places throughout Horsham, you will find the Democrats’ Election Day ground game manned by representatives of these Philadelphia organizations! Not Horsham residents … Outsiders with their own self-serving interests! It’s an interesting combination, quite frankly. Certainly these Philadelphia organizations would just LOVE to get a friendly foot in the door of the airbase redevelopment effort and all that development money. But who wants Philadelphia politics in Horsham? So ask yourself, are the goals of Philadelphia political bosses and their organizations consistent with Horsham Township’s best interests? Hopefully, Horsham Township voters are smart enough to know the difference between ugly divisive Outsider Politics and effective locally controlled government! Don’t forget to vote Republican for Horsham on November 5! Once a month the Horsham Republican Committee meets to discuss political developments – both local and regional; to strategize on political organizing within Horsham Township; and to update the Committee on issues of Party management. To be honest, the meetings can be a bit dry, and that’s even if you’re a bit of a political junkie. It’s not often that we get into REAL political discussions that provide interesting insights into the issues of the day. This past Wednesday was different with a small but animated gathering of committee representatives (who represent township Republicans in matters of Party interest), local Republican pols, and the local Party leadership. 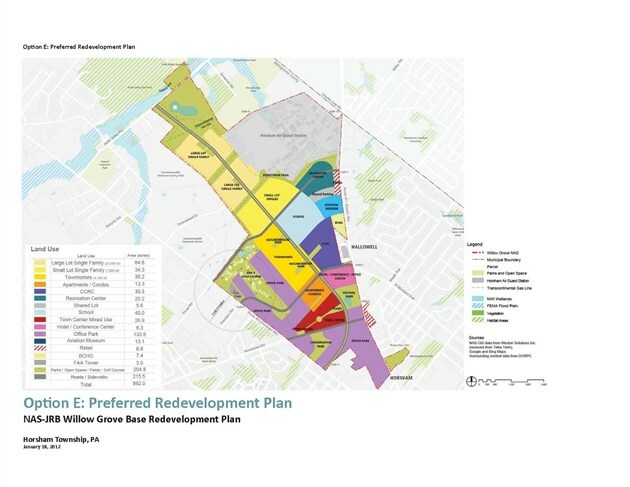 My keenest interest is always with the progress – or lack thereof – in Horsham Township’s redevelopment plan for the NAS-JRB Willow Grove property. At present the Horsham Local Redevelopment Authority (HLRA) is awaiting the approval of its redevelopment plan, which was submitted in the Spring of 2012. It’s been a year-and-a-half, and no decision as yet from the U.S. Navy. The Federal Government, which must review and approve the plan before fully vesting the HLRA with redevelopment authority, indeed takes its time when mulling over any decision. In this case, the Navy, charged with the responsibility of conducting an Environmental Impact Statement (EIS) has met delays in completing their evaluation. The plan – due this Fall – will not be ready until Winter at the earliest. Which means, look for it in the Spring or Summer. Several other issues were also touched on briefly as updates from Harrisburg. Movement on Pennsylvania’s transportation bill, which is seeing progress in the State House after the Senate passed their version earlier in the year. The biggest hurdle would be in reconciling the two versions as passed, particularly to the level of funding. There are roughly $5 billion in infrastructure improvements that have been underfunded for decades and well overdue for remedial action. Pension reform at the State level is getting much discussion. With the State’s two pension plans (state employees, public school employees) underfunded by $47 billion (!) 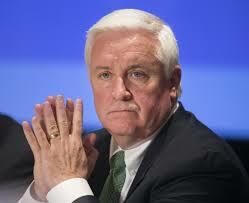 and projected to grow to $65 billion without action, Governor Corbett has moved pension reform to the top of his list of priorities. Currently, the biggest reform under consideration is moving new employees in both categories into 401(k)-type programs that are similar to those found in the private sector. A brief discussion on the national Affordable Care Act (Obamacare) revealed one persistent problem in Pennsylvania’s rural health services … Finding doctors to work in the less income-lucrative areas of rural Pennsylvania. This has long been a problem nationwide, not just in PA. One solution, proposed by the Corbett Administration in its recent proposal for expanding Medicaid as part of its ACA compliance, is a student loan forgiveness program for any doctors who agree to spend a specified amount of time in Pennsylvania’s more doctor-needy areas. All state-run Medicaid programs vary in benefits and costs from state-to-state. The terms of Medicaid coverage are negotiated by each state individually. Passage of the ACA effectively “locked in” every state’s specific Medicare program in whatever form it existed at the time. After eight years of Ed Rendell’s Democrat Administration in Harrisburg, Pennsylvania’s current Medicaid program is one of the most generous – if not THE most generous – state program in the U.S. This goes a long way towards explaining why some states, such as New Jersey and Arizona are more willing and able to accept the ACA-mandated expansions required for full state participation in federal-run healthcare exchanges. Currently the State and Federal governments combine to spend about $19 billion a year to cover 2.2 million Pennsylvanians on Medicaid! $19 billion …!! The federal government’s ACA Medicaid expansion financial contribution maxes out at 90% after three years of fully funded coverage. That 10% unfunded liability equals an additional estimated $200 million – as a minimum – that will have to be covered by the Pennsylvania state budget! Even before any ACA-mandated Medicaid expansion, Pennsylvania estimates Medicaid costs will grow by $400 million in fiscal year 2013-2014. A Rand Corporation study showed that Pennsylvania would save roughly $154 million a year by not expanding Medicaid coverage. So it’s pretty easy to see why the Corbett Administration is not all that anxious to get on board an ACA-mandated Medicaid expansion. As with the Philadelphia School District’s annual funding crisis, the Corbett Administration has taken a very responsible approach to any expansion of the financial commitment falling to Pennsylvania’s tax payers. The Governor realizes that without reforms accompanying this constantly growing financial responsibility, the economic health of the State will be threatened. In the Philly school crisis, by which you can calibrate your calendar each year, additional funding was offered to the City through negotiations with Mayor Michael Nutter’s administration. 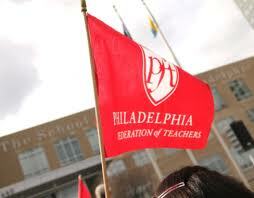 The catch was that the settlement required reforms that call for concessions by the Philadelphia teacher’s unions. Concessions are necessary on the cost-side of the Philadelphia school issue, if the cycle of funding crisis followed by funding crisis is ever to be broken. You should not be surprised in realizing that funding solution never really had a chance to succeed. As for the Medicaid expansion, the facts are that without serious reforms in the way the Pennsylvania program is managed, the state’s’s tax payers and businesses will be on the hook for that rather significant $200 million hole in the Pennsylvania budget … on top of the projected $400 million shortfall for FY13-14 … plus all other projected increases. Cost reform is essential to Pennsylvania’s future fiscal sanity. There’s also the very real possibility that the Federal government may not be able to uphold even its 90% Medicaid expansion funding as promised. And what happens then? For these reasons, the Corbett Administration’s approach to the ACA federal exchange and Medicaid expansion proposal should be lauded as the kind of fiscal sanity one should expect from their Governor.